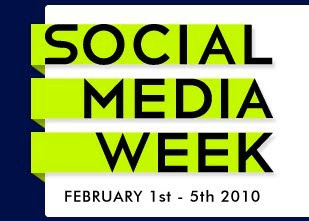 Social Media Week is going to be held the first week of February in Toronto, Sao Paulo, San Francisco, New York, London and Berlin. I am on the Advisory Board for the New York event and there are going to be a whole lot of great sessions, panels, parties and whatnot. Toby Daniels has done an outstanding job of coordinating all this and getting all the pieces in place and recruiting some top notch talent to appear.